Boston Police report the two men shot to death on Saturday night at 12 Violet St. in Mattapan were Kevin Boyd, 53, of Roxbury and Michael Dukes, 53, of Hyde Park. Boston Police report arresting a Mattapan man in connection with the Saturday triple shooting on Mattapan Street that left Eleanor Maloney, 74, dead. Read more. WBZ talks to some friends and neighbors of Eleanor Maloney, who died Saturday from gunfire intended for somebody else. Boston Police report arresting a Mattapan man on various drug charges Monday morning following a chase in which he led officers through several backyards before catching up with him on Rockingham Road. Read more. 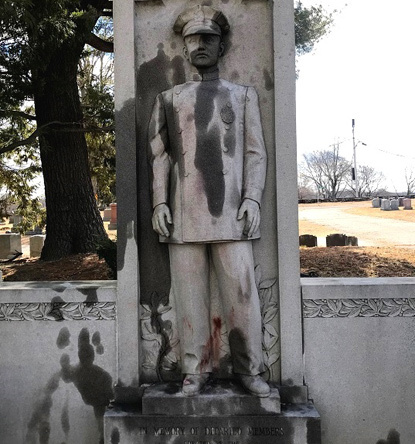 Boston Police report several memorials at Mount Hope Cemetery in Mattapan, including one dedicated to fallen Boston officers, were vandalized. Read more. WCVB reports on a 75-yard swath of garbage along Morton Street between Norfolk and Verrill streets today. The owner of the garbage-strewing vehicle is pledging to clean up the mess. Jerron Perry, 27, was arraigned Thursday on charges he held up the Metro PCS store at 1340 Blue Hill Ave. twice - and a Canton 7-Eleven - last fall, the US District Attorney's office reports. Read more.